About a hundred meters away, I could see little figures running about. The dim light of the 4:30AM morning prevented me from seeing much else. As I got closer, I saw a couple people carrying the instantly recognizable red Llama Path duffel bags. 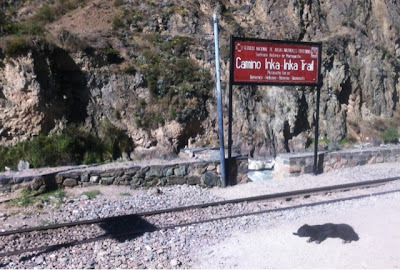 Once I got to Regocijo Plaza, I handed my Llama Path duffel bag to one of the porters. In return, I was handed a hot cup of water to warm up my freezing body. One by one, the fifteen of us tourists slowly piled onto the bus, at the back of which already sat the 21 porters and 1 chef who would be with us. The bus was cold, but most of us sought to catch some additional sleep during the 2 hours' drive to Ollayataytambo. There, we had breakfast (the coffee is highly not recommended as it looked more like sludge than anything; go for the coca tea). Afterwards, it was another hour to kilometer 82 (2720 meters above sea level), where we each got our sleeping bags to pack into our duffel bags. 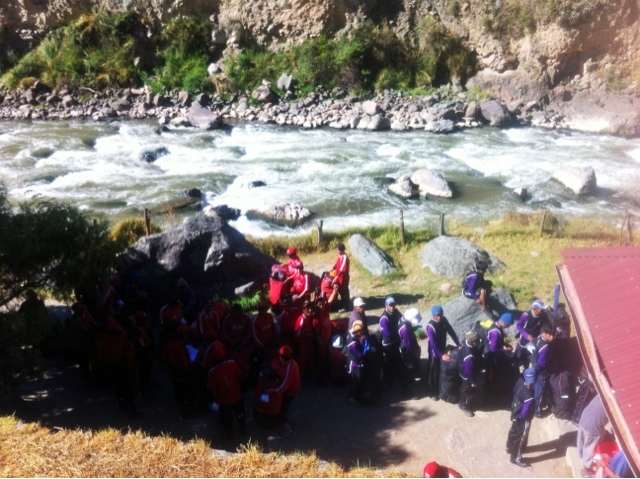 Afterwards, it was time to head to the Inca Trail checkpoint under the guidance of our guides - Casiano and Erwin. 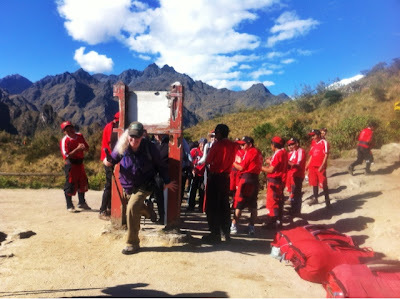 The porters had their separate checkpoint, where the authorities weighed their bags to ensure they were under the weight limit. 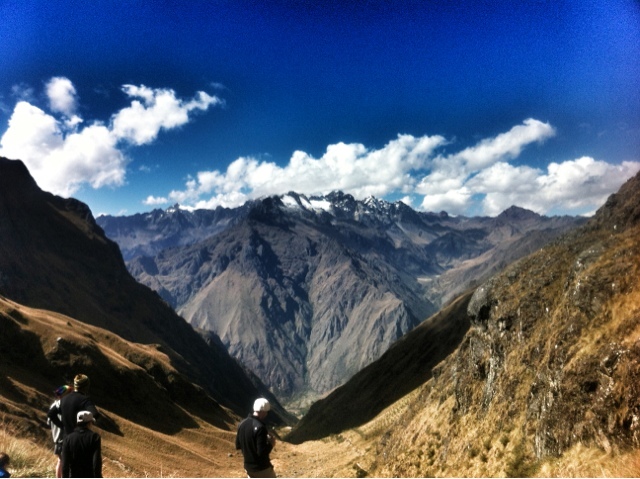 Soon, we were on our way to the start of the classic Inca Trail. I won't go into too much details here, because words can't really describe a wonderful experience. You just have to do it yourself and find out. On our first day, we climbed up ~600 meters (over a distance of 10 miles) to Ayapata, where we made camp for the night. 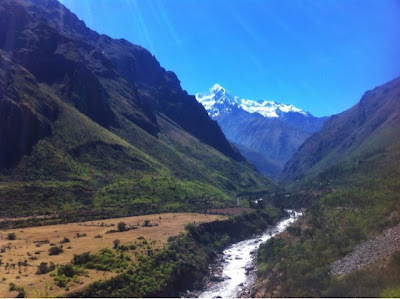 On day 2 (the toughest of all four days), we climbed another 950 meters up to the Dead Woman's Pass, which sits at an altitude of 4250 meters. Though we were scheduled to take about 3-4 hours to reach this point, Eric - a fellow trekker from Minnesota - and I managed to make it there much earlier. In return, we got an hour of respite as we waited for everyone else. On the same day, we climbed back down to 3580 meters, only to then climb back up again to 4000 meters. All of this was over the span of 7.5 miles. Day 3 was only 5.5 miles of first climbing slightly up, then down to 3,600 meters through the cloud forest, and finally to 2,680 meters at Wiñay Huayna, the mini Machu Picchu of Inca ruins. Finally, on day 4, we got up at 3:30AM, packed our stuff, and hiked two minutes to the gate that blocked the last 3.5 miles to the Sun Gate at Machu Picchu. There, we waited until 5:30AM for the first ray of daylight to shine through the horizon. Our group was the first of 18-19 groups in line. 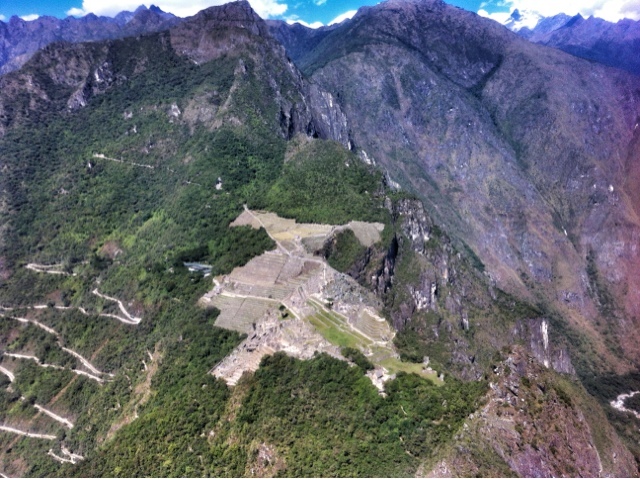 This meant we got a head start to the Sun Gate, where we were greeted to a majestic view of Machu Picchu, all to ourselves. That was the gist of the trek (along the way we encountered numerous Inca sites, each building up to the grand finale); however, I would be remiss if I didn't mention a couple other things - especially for those who are thinking of doing the Inca Trail trek (or one of the alternative ones) to Machu Picchu in the future. 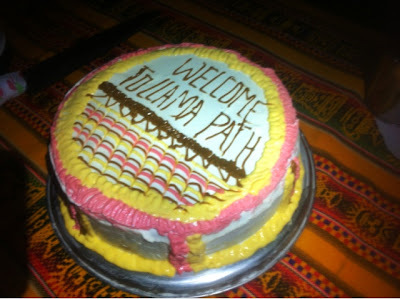 First, I had an amazing group of hikers who made the whole trek a wonderful experience. 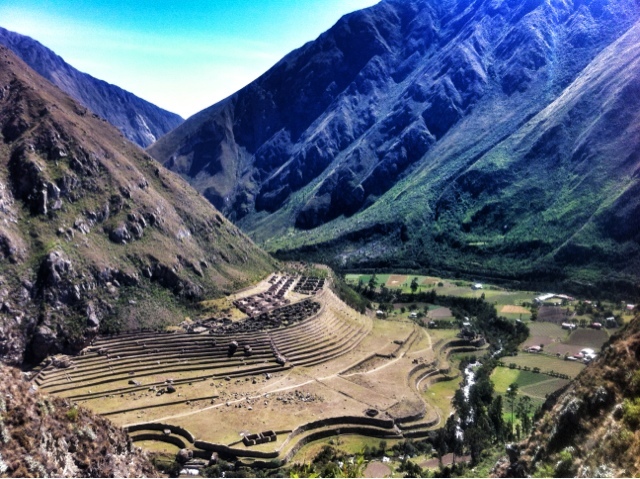 Further, Llama Path treated us like royalty. Having only recently completed the trek to The Lost City in Colombia, I wasn't expecting much in terms of accommodations. 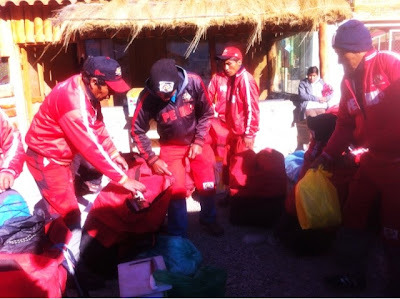 Not only did our "red army" of Llama Path porters carry our food, they brought with us tents, sleeping pads, and sleeping bags. At every meal we had fresh water and soap to wash our hands. 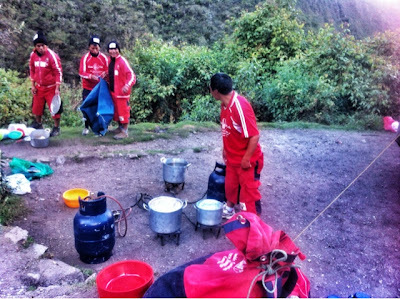 After each meal there was always plenty of clean water for each of us (they boil the water - for longer times at higher altitudes - and put it through a filter, as well as run it under the cold water of the river to cool it down). Every night and morning we had hot water to wash our face. In the morning, we were also provided hot tea - before we even made it out of our tents - to warm us up. 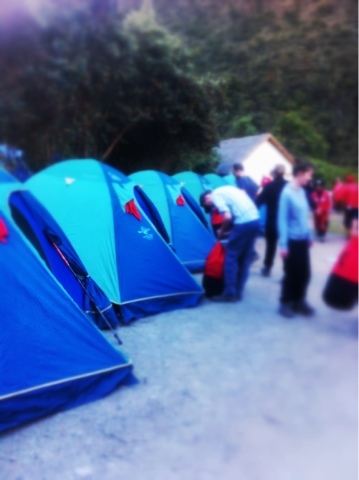 At the end of each day's hike, our tents and bags would be up and ready before we arrived at the campsite. All of this was done in complete unison and teamwork across the 21 porters (as young as 20 and as old as 62). Just as important, the food was amazing - especially given that the chef was only ~20 years old and cooking out of a tent. I had one of the best guacamole ever, along with a banana flambé in whiskey. Each night, "happy hour" was served with freshly popped popcorn and milo! 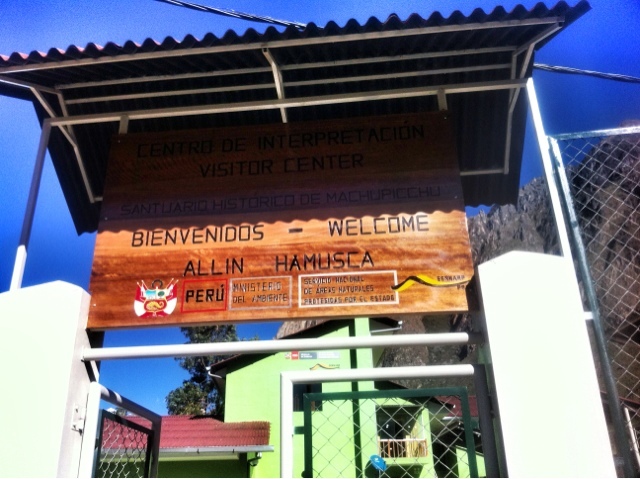 On our last night, we even got treated to a freshly made cake and warm pisco with pieces of apple. The trek itself is low to moderate in terms of difficulty. The caveat is that this heavily depends on how well acclimatized you are to the altitude. The temperature changes dramatically from morning to afternoon and back to night. 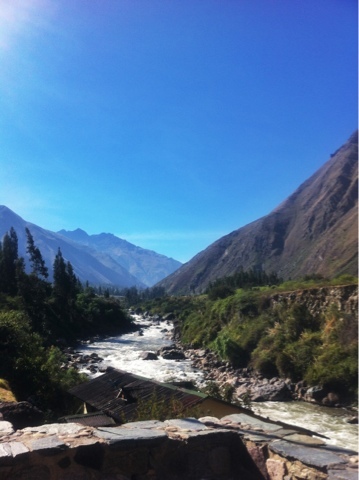 Although, the cold temperature is great for trekking as I would prefer that over a hot and humid day. In addition, the constant change in altitude of thousands of feet (all in one day) can put the best of us out. I was lucky to not have any trouble with the altitude, but that's just luck since the effects of altitude seems to be random and are irregardless of one's physical fitness, age, etc. One last thing, the bathrooms are disgusting. I've seen, and used, squat toilets before, but the toilets at our first camp was repulsive enough to fight back any biological desire to go. Let's just say that not everything that was supposed go in the toilet went in the toilet. I don't fault Llama Path for this, since it's not their property, but it should be a fair warning to you clean freaks! Anyway, back to Machu Picchu, a UNESCO World Heritage Site also known as The Lost City of the Incas. For four days we had perfect weather with not a drop of rain nor a fluff of cloud. 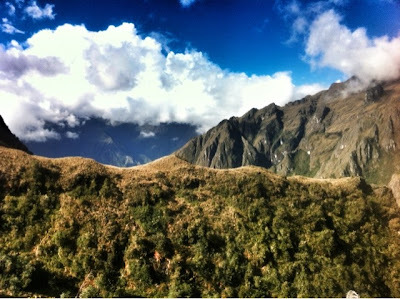 Our guides kept telling us that there normally are a lot of clouds in the cloud forest and at Machu Picchu itself. 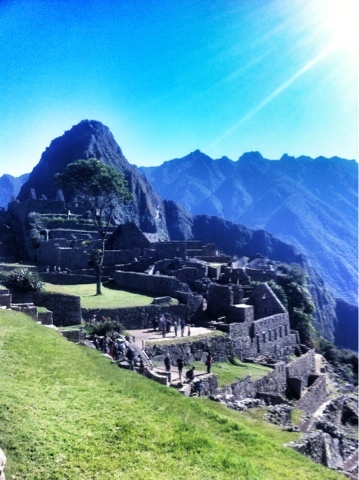 However, all we got was blue sky and a panoramic view of Machu Picchu from the Sun Gate. Built a little over 500 years ago, The Lost City of the Incas was made famous by Hiram Bingham, the Yale historian who "discovered" it. 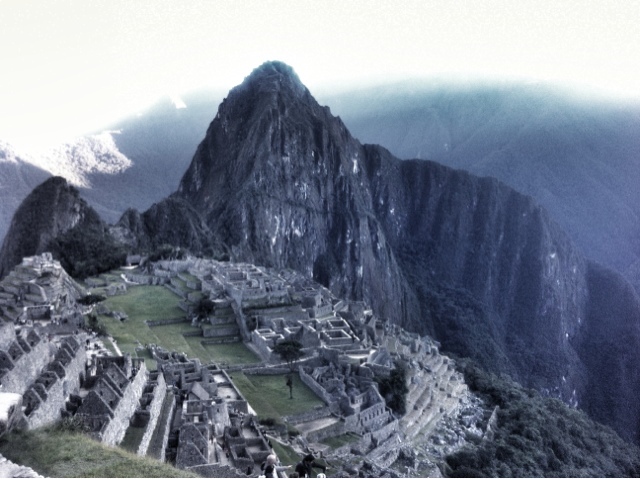 Although restoration of the ancient city continues today, Machu Picchu is regarded as an endangered wonder of the world due to over tourism and potentially unsustainable growth in the nearby town of Aguas Calientes. 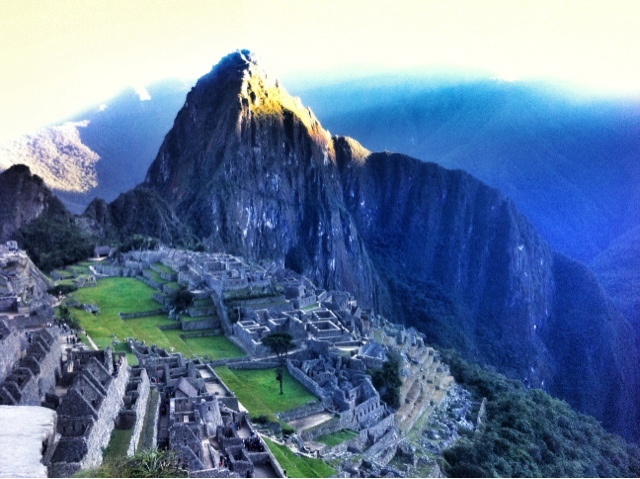 In every classic photo of Machu Picchu there's always that giant mountain that stands in the background. Have you ever wonder what the view would be like at the very top of that mountain? Wonder no more. That's Wayna Picchu, and that's the hike that no one who goes to Machu Picchu should skip (buy your ticket in advance as spots are limited). It's a rather precarious trek up, with areas of very steep steps and sometimes, if you're lucky, metal ropes for stability. To get to the very top, you have to be fit and of a certain size, because at one point, it's necessary to go through a rock formed tunnel that's so small even I was feeling uncomfortably claustrophobic going through it. 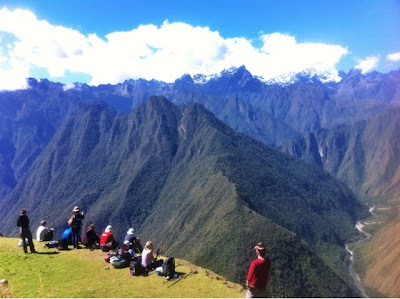 Once at the very top, the reward is a jaw dropping 360 degree view of Machu Picchu and the surrounding mountain ranges (only one picture on my phone). Sitting on top of huge slabs of rock, I simultaneously didn't want to leave the view, and yet, was slightly afraid one misstep would lead me tumbling down. Speaking of tumbling down, the path back down is quite the interesting hike. 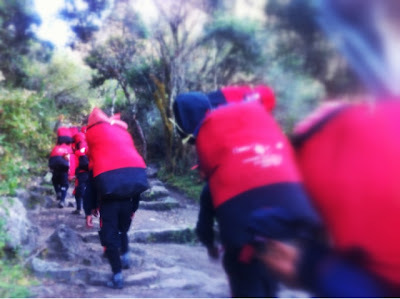 While going up sometimes required us to be on all fours like a dog, going down at times required us to be on all fours like a crab, slowly moving down on our buttocks because the steps are extremely steep and extremely narrow. Next up, a couple hours in Aguas Calientes and a train ride with a scary surprise.